Before the current $50 million penthouse boom, Miami’s highest-priced home traded hands for $47 million when a Russian acquired an Indian Creek compound back in 2012. That deal is, in fact, still the highest closed sale on record–and was for a 30,000-square-foot single-family home set on two acres, not an apartment. To date no condominium has closed anywhere near that record price. 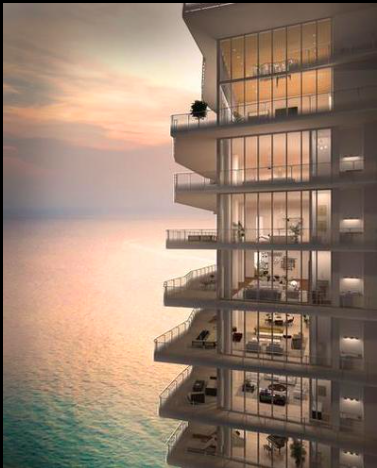 The highest recorded condo sale for Miami is the $34 million paid for two triplex penthouses–spanning a 16,271 square feet across three levels–at The Residences at Miami Beach EDITION, the hotel-condominium by Studio 54 cofounder-turned-hotelier Ian Schrager. Now, more developers are trying to ring in similar sales. In addition to the three listings of $50 million or more, a fourth luxury penthouse is now listed at $49 million; three more have price tags of $40 million. “When the owners of these properties see and hear what something has sold for, everybody thinks theirs is the best–so the numbers go on accordingly,” explains Jill Eber, half of the power broker duo The Jills. Developer Don Peebles has priced his Bath Club Estates penthouse at $50 million ($5,435/sf). The 9,200-square-foot triplex penthouse comes with its own private pool, and tops a building that has only 13 residences. Separately, Peebles is marketing two second- and third-floor duplexes as a single 18,000-square-foot mega complex, listed together for $44 million. Douglas Elliman’s Chad Carroll and Chris Leavitt, stars of Bravo’s Million Dollar Listing Miami, share the listing. Brokers say that global economic instability—plus New York’s cold winter weather—will take care of the priciest units that are still up for grabs. Hedge funders from New York as well as South Americans, Asians, Russians, and Europeans looking for safe harbor for their money make up the ultra-high-end pool of buyers. 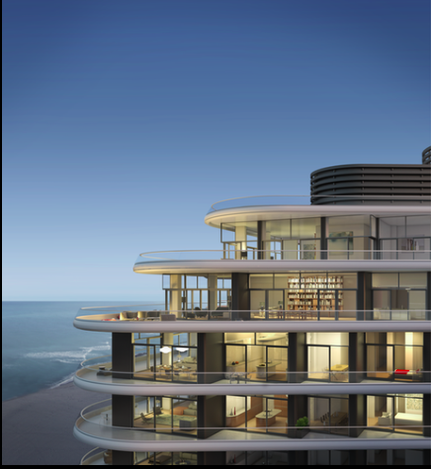 “We’ve seen a general trend of people looking for larger apartments,” says Jeff Miller, the Zilbert International Realty agent who brought the buyer to the Faena House penthouse. “A lot of our clients have asked us to help them acquire the apartment next door.” His gets inquiries from Brazilians, Venezuelans, Argentines, Italians, Russians, Turks, and Americans, many from New York. Over the past decade, Miami has gained attention as a destination that can attract the world’s rich, thanks to its luxury high rises, beach climate, and attractions like the Art Basel Miami festival. Knight-Frank’s ranked Miami 7th in its 2014 annual global cities list, based on economic activity, quality of life, influence and political power, and the number of ultra-high net worth people who live there. Developers have also brought in famed “starchitects” like Norman Foster and Zaha Hadid in an attempt to attract high-end buyers to their buildings. Win Day 10 of 12 Days of Giveaways!